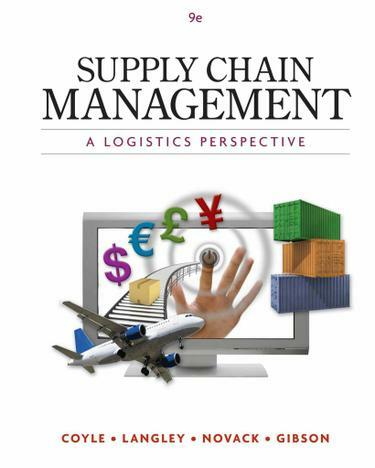 The ninth edition of SUPPLY CHAIN MANAGEMENT: A LOGISTICS PERSPECTIVE refined its focus on the supply chain approach by blending logistics theory with practical applications and includes updated material on the latest technology, transportation regulations, pricing, and other issues. Each chapter opens with Supply Chain Profiles vignettes introducing students to real-world companies, people, and events. New and updated On the Line boxed features are applied examples providing students with hands-on managerial experience of the chapter's topics. Supply Chain Technology boxes appear throughout the text, helping students relate technological developments to supply chain management concepts and logistics practices while taking in consideration global changes. Short Cases at the end of each chapter are updated and build on what students have learned in the chapter.